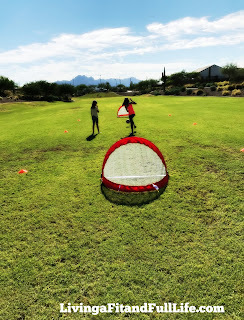 Living a Fit and Full Life: Practice Anywhere You Want with Best Choice Products Portable Pop-Up Soccer Goals! 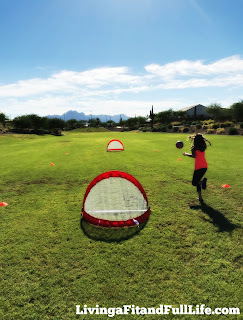 Practice Anywhere You Want with Best Choice Products Portable Pop-Up Soccer Goals! Take your game to the next level and practice on the go. Train with two 4-foot goals and six cones while focusing on specific shots to improve. Now you can take your practice anywhere with foldable lightweight goals and a carrying case. 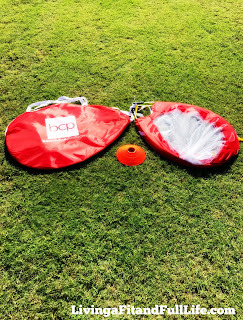 Enhance your skills with the Portable Soccer Goals Set by Best Choice Products! 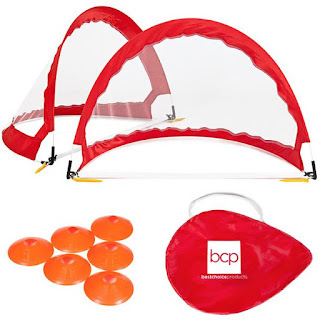 Best Choice Products Portable Pop-Up Soccer Goals are exactly what I've been looking for for my soccer loving girls. I absolutely love how quick and easy they are to set up! You simply take them out of the bag twist them and wallah! You're ready for practice. It also comes with stakes so you can stake the nets into the ground so they stay in place if you need to. I also love that it comes with 6 orange boundary markers so kids can practice staying inside the field. Then, when you're all done, clean up is a breeze. You simply twist them, place them back in the bag with the boundary markers and zip it up until you're ready to use it again. Best Choice Products Portable Pop-Up Soccer Goals are extremely portable and can be taken with you wherever you go! You can purchase on Best Choice Products, Amazon and Sears!